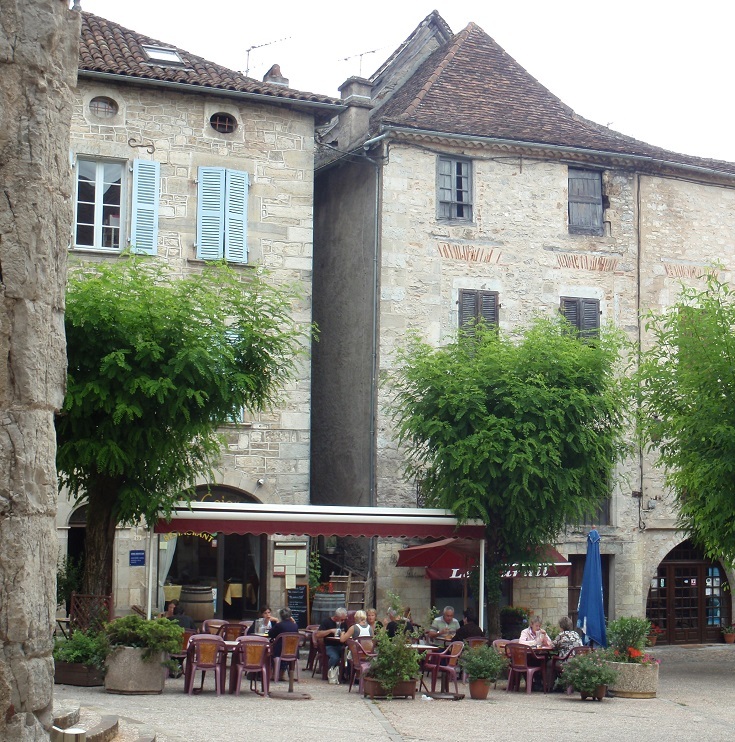 For walkers following the traditional pilgrims’ route along the GR 65 Chemin de Saint-Jacques du-Puy between Figeac and Cahors, two days of walking (or one big day) brings you to the busy market town of Cajarc. 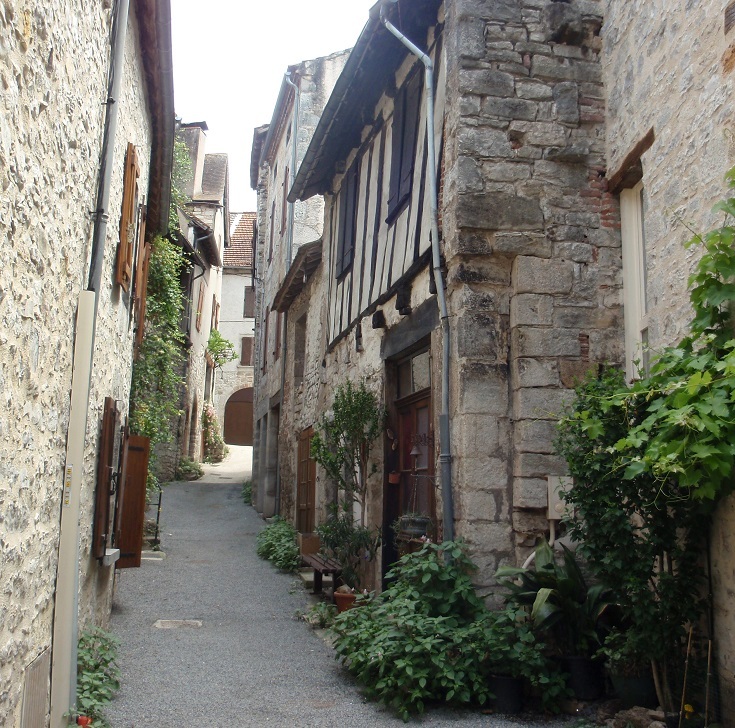 This charming town has endured many battles and much destruction over the last eight hundred years, but today boasts more than its fair share of picturesque alleys and historic houses—many dating from the thirteenth and fourteenth centuries. The oldest building here dates from the twelfth century, although some newer windows show evidence of alterations in the thirteenth and eighteenth centuries. 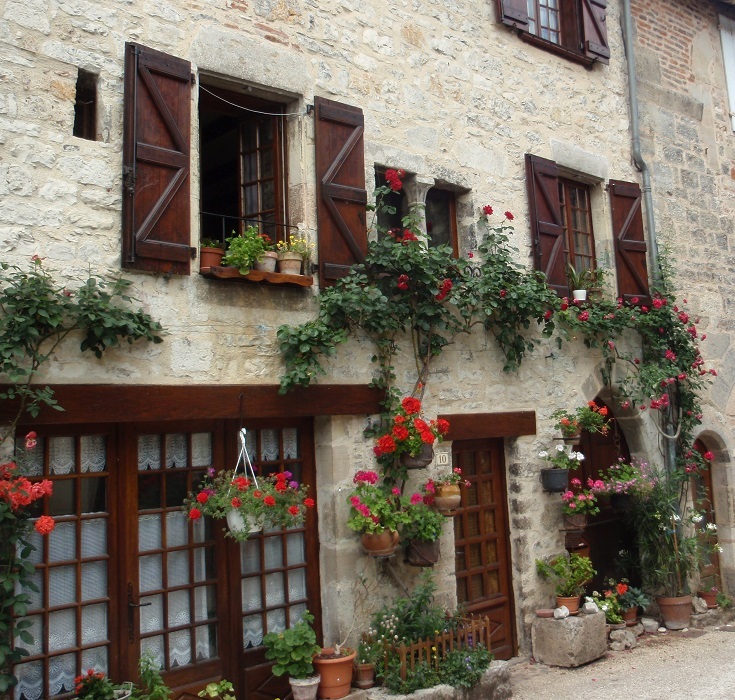 Imagine living in a home that has sheltered a succession of families for nine hundred years! 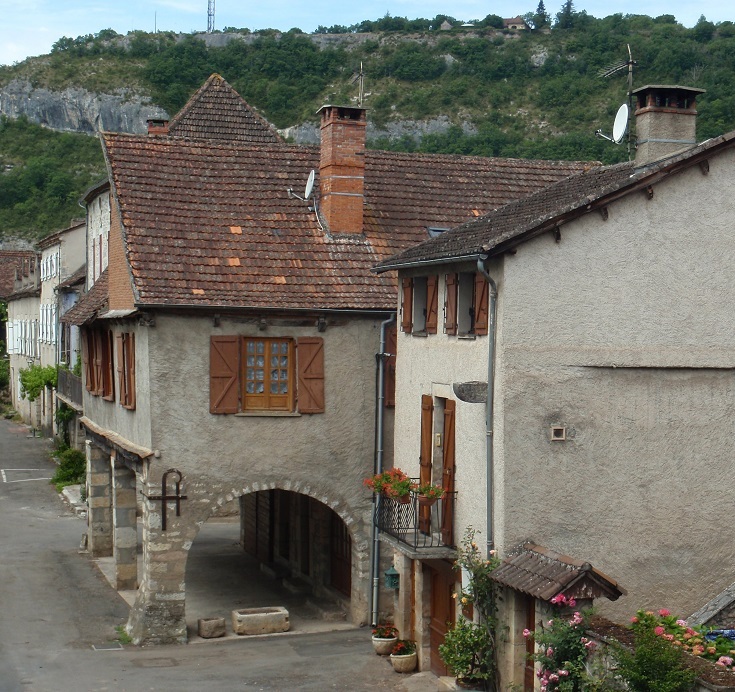 A guided map of the town, Les clefs de…Cajarc is available online but the Tourist Office here is one of the best and a visit will reward you with a good selection of information and guided maps of other villages that the GR 65 walking trail passes through. If you prefer an English version of the map, Cajarc—Discovery of a Heritage may also be available at the Tourist Office. A map of the town drawn in 1382 (previously available online) bears a striking resemblance to the current map. The Boulevard du Tour de Ville, which today forms a ring road around the town, is shown as a moat that once provided additional protection to the heavily fortified village. 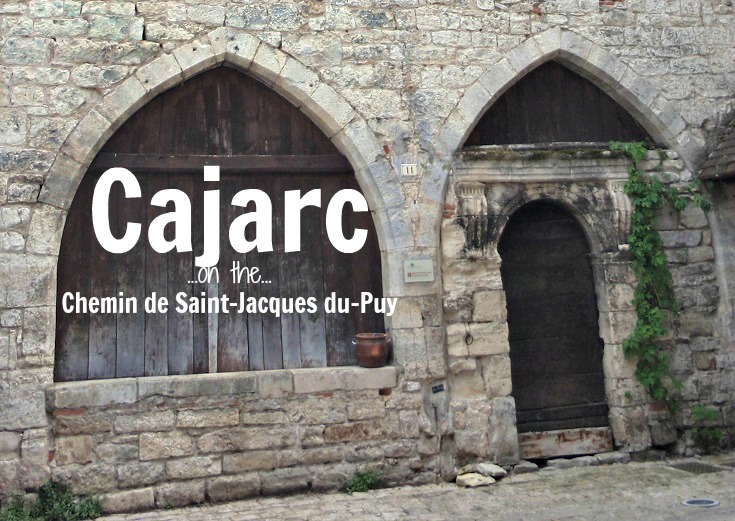 Cajarc successfully withstood attacks by the English during the Hundreds Year War, but fell to the Protestants two centuries later during the Wars of Religion. 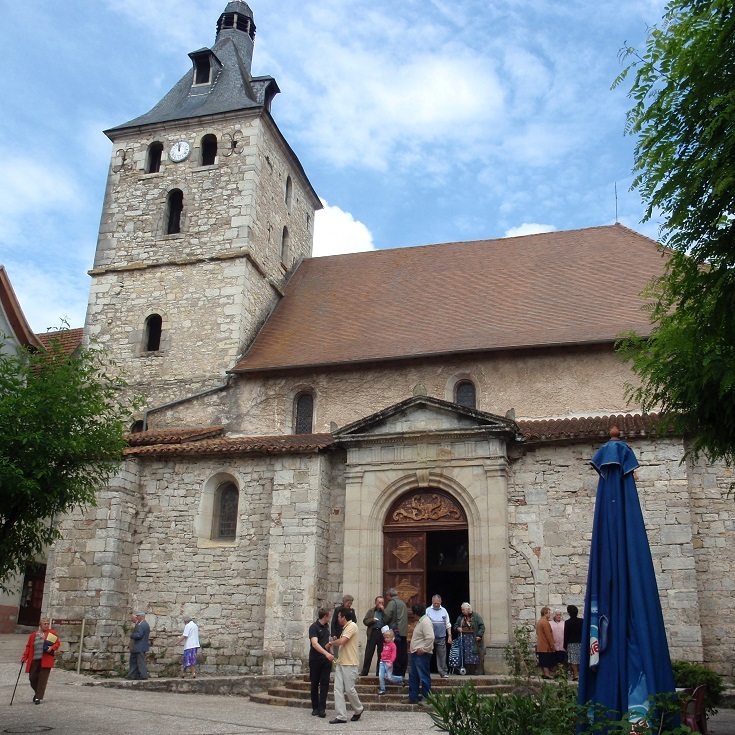 It was during this period that the thirteenth-century church of Saint-Etienne was largely destroyed and all that remains today from the original church is the base of the bell tower. In the early seventeenth century, the church was rebuilt and the moat filled in with earth. Plane trees, which were planted two hundred years ago, still form a guard of honour along the boulevard. 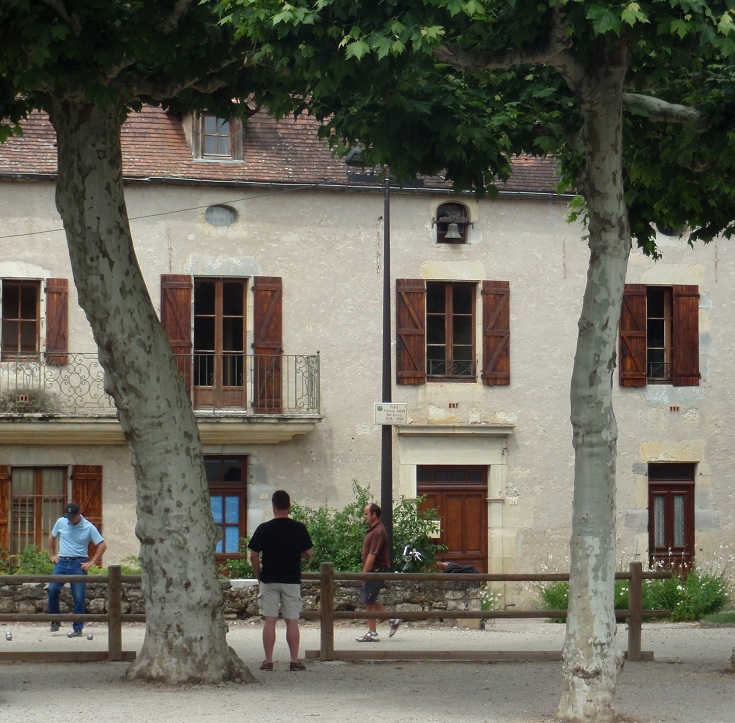 If your walk brings you to Cajarc in late July, your visit may coincide with Africajarc—a four-day celebration of African music, dance, cinema and theatre. The festival is one of the most popular in France and during this time competition for a hotel room or camping spot can be fierce. Check the website for festival dates and be sure to book early. 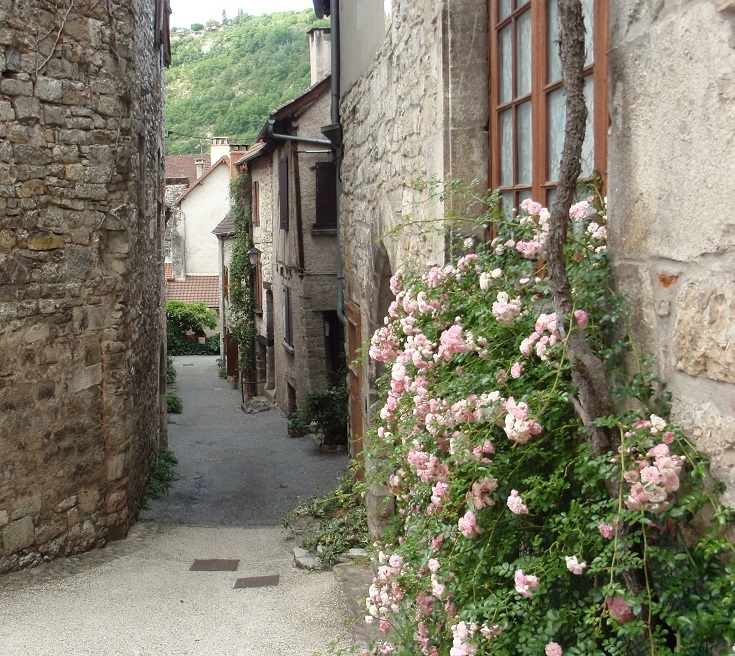 Which long-distance walk visits Cajarc?